Panton is a small town in the south of the Lugo province with a population of approximately three and a half thousand people. 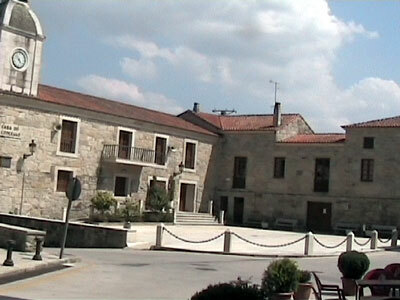 Although in Lugo it is actually only 30 minutes from Ourense city on the N-120 highway. Located next to the river Cabe, Panton lies quite close to another town in Lugo province called Monforte de Lemos (also well worth a visit). Interestingly, Panton has a significant population of British families, some of whom are involved in a local website. Once in this small town the council office is a dominant building and its visitor interest is enhanced by its containment of the tourist office on the second floor. It is also noticeable because of its large forecourt and attractive granite stone construction. There are a couple of cafe bars in this area and you can park up on the road quite easily. Panton, whilst having a couple of churches, is nothing extra special in itself, but its local monastery (Monasterio Cisterciense de Ferreria), just five minutes walk away, is what enticed us to take a look. You can find out more about this monastery and its religious order by clicking the button in the right menu bar. There is a castle on the outskirts of Panton that is mentioned in several tourist leaflets and also indicated on maps. 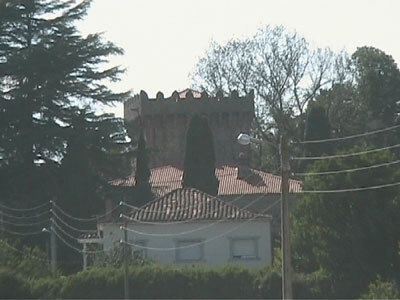 This castle is privately owned and is not available for visits by tourists. You can of course drive past it. It is located four or five minutes from Panton town and is clearly signposted. Unfortunately, this is another example of Galicia city's tourist industry's inadequacy and incompetence when it comes to promoting their heritage. They have been told the castle is not on the tourist trail and, during recent renovations, a funding offer by the Galician Xunta was rejected because of a condition requiring public access. 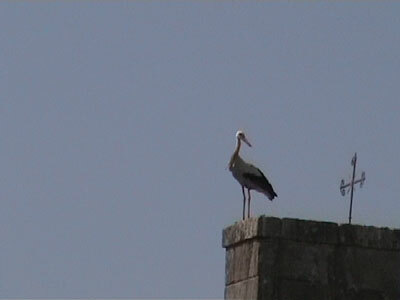 If you do visit Panton, look out for storks and their nests high on the rooftops of local buildings. We spotted one on the monastery and another in a nest on a building within the town. Naturally Panton also has some churches, but the monastery is undoubtedly the town's high point. Right, the bird in question on a roof top.